Calculate your delivery time by adding the personalisation and production time on your gift (normally 2-3 days) plus the delivery time selected on checkout. 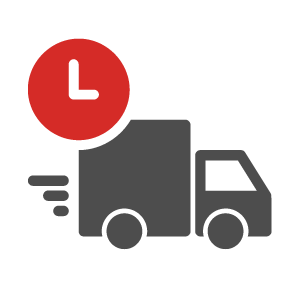 Royal Mail Express Delivery – Estimated delivery time 1 to 3 days. Royal Mail Standard Delivery – Estimated delivery time 3 to 5 days. You can choose your delivery method in the Cart and Checkout areas of the website. or drop us a message out of office hours with any delivery questions you may have.